In his possessions he had one of the first photographs ever taken of life in New York City–a white family sitting all along their porch. They seemed to live on a farm in that city and on either side of their house Calvin could see trees and empty space rolling off and down into what appeared to be a valley…. In the front yard, alone, was a dog looking off to the right. The dog was standing, its tail sticking straight out, as if ready to go at the first word from someone on the porch…. From the first second Calvin had seen the photograph he had been intrigued by what had caught the dog’s attention and frozen him forever. There was a whole world off to the right that the photograph had not captured. The image of the frozen dog is a central one in The Known World by Edward P. Jones, a novel about slavery that aims to know what the photographs of white families have not captured, a book that moves the frame to crop the white family out. He was thirty five years old and for every moment of those years he had been someone’s slave, a white man’s slave and then another white man’s slave and now, for nearly ten years the overseer slave for a black master. The story is of the intertwined fates of the inhabitants of Manchester County, Virginia in the antebellum South, focusing on black inhabitants, the slaves, the free and the free blacks who owned slaves. (A historical fact.) There are a couple of white characters; two rich plantation owners, a sheriff, some poor white slave-patrollers; but the question of who has dignity and humanity is explored mostly without them. It is as terrible, brutal and tragic as one would imagine, a sophisticated and masterful slavery novel, with flights of gothic horror to rival Faulkner, accomplished with serene, elegant prose. Another of Jones’s central metaphors is the house itself. Houses fly up in the air, change dimensions, appear carved on a man’s walking stick, are painstakingly built or burned in a frenzy. What house have we built? What house do we deserve? In what way are we not just ourselves but also our structures? …part tapestry, part painting, and part clay structure–all in one exquisite Creation, hanging silent and yet songful on the Eastern wall. It is, my dear Caldonia, a kind of map of life of the County of Manchester, Virginia. But a “map” is such a poor word for such a wonderous thing. It is a map of life made with every kind of art man has ever thought to represent himself. Yes, clay. Yes, paint. Yes, cloth. There are no people on this “map”, just all the houses and barns and roads and cemeteries and wells in our Manchester. It is what God sees when he looks down on Manchester. 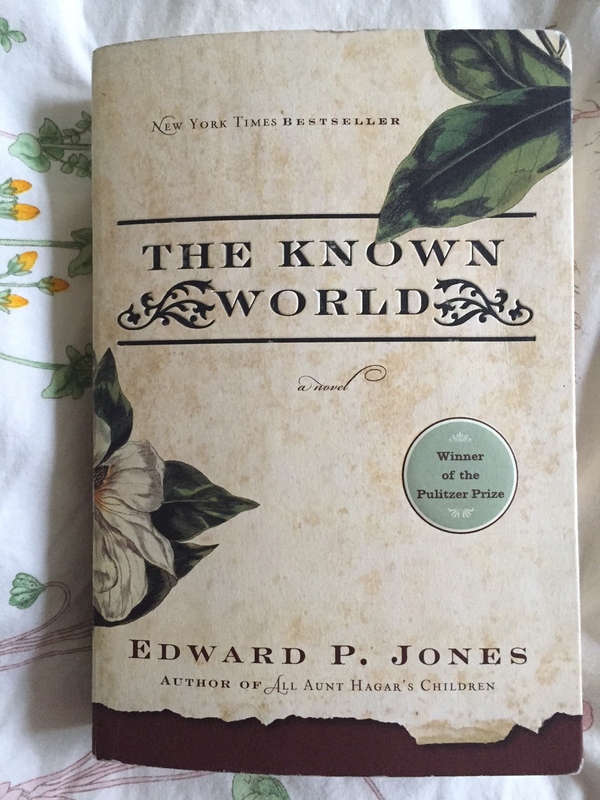 Hopefully the long passages quoted have made the beauty of Jones’s prose speak for itself. This book won a Pulitzer Prize in 2004. I hope it will be canonized and widely taught.